The State Department is creating a bureau to focus exclusively on energy, a sign of the growing importance of energy issues to U.S. foreign policy and national security. The new Bureau of Energy Resources, which opens shop Wednesday, is designed to help shore up stable supplies of affordable energy for the U.S. and avoid crippling effects of supply shocks and disruptions. The agency also will promote clean energy and changes in markets to make alternative-energy technology more competitive, an effort to open the door for U.S. exports in a fast-growing sector. It will also promote sustainable energy in developing countries as a way to boost economic growth. 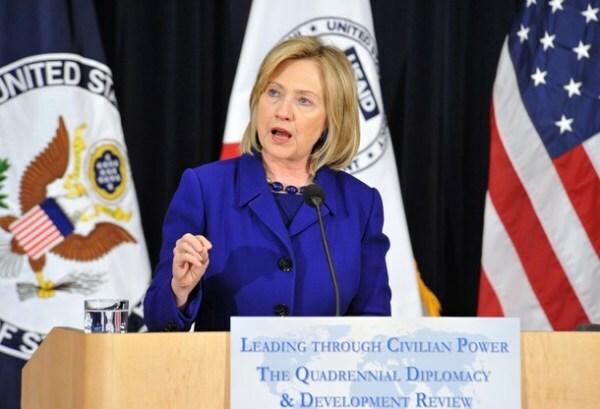 Secretary of State Hillary Clinton flagged the creation of the new bureau in a speech last month, saying: "You can't talk about our economy or foreign policy without talking about energy." Other bureaus at the State Department target particular international issues such as arms control, refugees and migration, and oceans and scientific affairs. The Bureau of Energy Resources will succeed and expand on the existing office of the envoy for international energy, with a six-fold increase in personnel brought from elsewhere in the State Department to foster "sustained engagement" with other countries, said Carlos Pascual, new head of the bureau. Mr. Pascual, a former U.S. ambassador to Ukraine and Mexico, said the office's main goal is to manage the "geopolitics of the energy world." That includes dealing with big suppliers of oil and natural gas to manage future fuel supplies. Mismatches in supply and demand helped drive oil prices to record highs in the summer of 2008, which contributed to the economic recession in the U.S. It also will include close engagement with China, one of the biggest energy users in the world, Mr. Pascual said. The office will work with China to develop new energy technologies while pushing for increased U.S. access to the world's biggest market for renewable energy. "We will unabashedly support the export of U.S. technology, working with countries to put in a level playing field," he said, so that U.S. goods can compete. Markets in China have been difficult to enter due to local restrictions on foreign-made goods, such as wind turbines. A key focus for the new bureau will be the revolution in natural-gas markets brought about by the advent of shale gas in the U.S. and overseas. The shift has allowed the U.S. to greatly boost production of natural gas, and other countries, including China, are following suit. The increase in shale gas output is having a substantial impact on global energy markets and thus geopolitics, Mr. Pascual said. That is because shale gas is fueling rapid growth in seaborne transport of liquefied gas, which helps reduce the leverage of continental natural-gas producers who ship the fuel via pipelines.